I believe that she truly was possessed by demons. You decide for yourselves. Things like that are real, yes. Clearly she should have been looked at by a psychologist and not just assumed to have "demons." The fact that she died from malnutrition and dehydration speaks loudly for the fact that this was obviously an abusive home and at the very least children and youth services should have been called, not a priest. I believe this girl was tormented and this whole story was sick. I got curious and googled her story. Was curious how the "possession" transpired in the first place. Always happens to Catholic folk, smh. From what I read, she had epileptic psychosis and eventually the parents were charged with negligent homicide for letting her starve basically. Sad. Demonic possession does not always happen to Catholics. It a world wide phenomena. It is just that Catholic priests are known for performing exorcisms. If you look at the before picture of Emily, you can see that she was not an abused child. No reports by the medical doctors or priest that she was seeing was made of her being abused by her parents...it is logical to conclude that she was not. And the term "epileptic psychosis" is not a real medical term. It was coined by the doctor during the trial. It's a non-existent condition which has not been confirmed by the American Medical Association. There was a medical doctor present during the excorcism, only he died in a car accident before he could testify in court. It is said that he was in favor of the demonic conclusion. Also, our judicial system is not perfect and people get accused of things they did not do all the time. 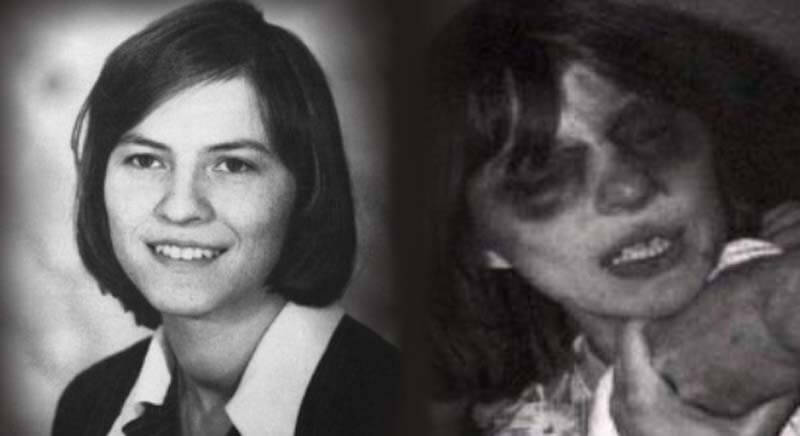 It is true that epileptic seizures are traumatic, but Emily Rose herself confessed that she was possessed by demons. Nobody can 'see' that she wasn't abused...a fairy tale. Even kids who look like it's possible are ignored, even in this day and age - SO, I wouldn't be as hard on the parents for not knowing, because the doctors people end up going to for help don't know everything, so diseases and conditions get missed, depending on the doctor(s) you take your kid to. All of it is true (people getting accused of stuff they didn't do). It's a sad story. And I did see the movie a long time ago.